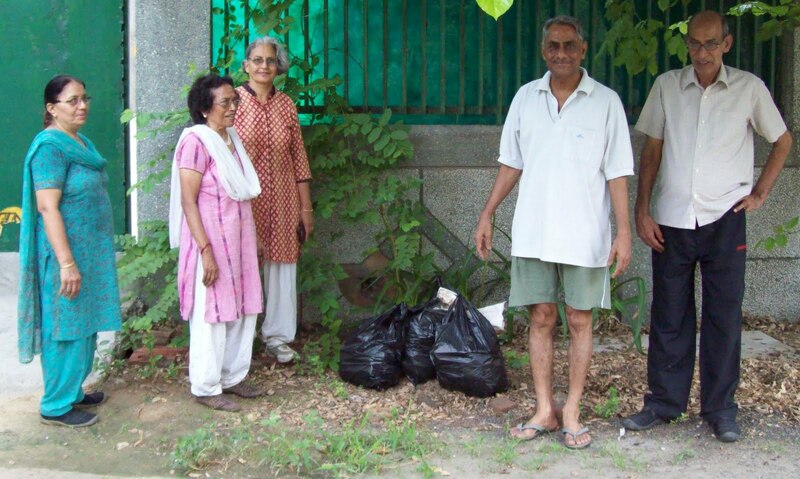 As an initiative call from the NEIGHBOURHOOD LADIES TOGETHER (NHLGT), morning walkers and yoga devotees, a cleaning campaign was started at no:4 park in sector 23, Dwarka on 13th June 2010. Fourty bagfuls of plastic and other garbage was collected followed by a serious discussion on improving the other unattended parks and gardens in Dwarka. The plants in many parks have not been watered for a long period. On May 9th, at the call of NHLGT, people from the societies watered the plants in their respective nearby parks. Later we went on a delegation led by Mr. Langer, an electrical engineer by profession, to upraise the conditions of the parks to the Deputy Director of Horticulture department. As a result of our pursuit, a bore well was dug and the plants in the parks regained their lost hue and grace. The next burning issue of the society is the garbage dumping. 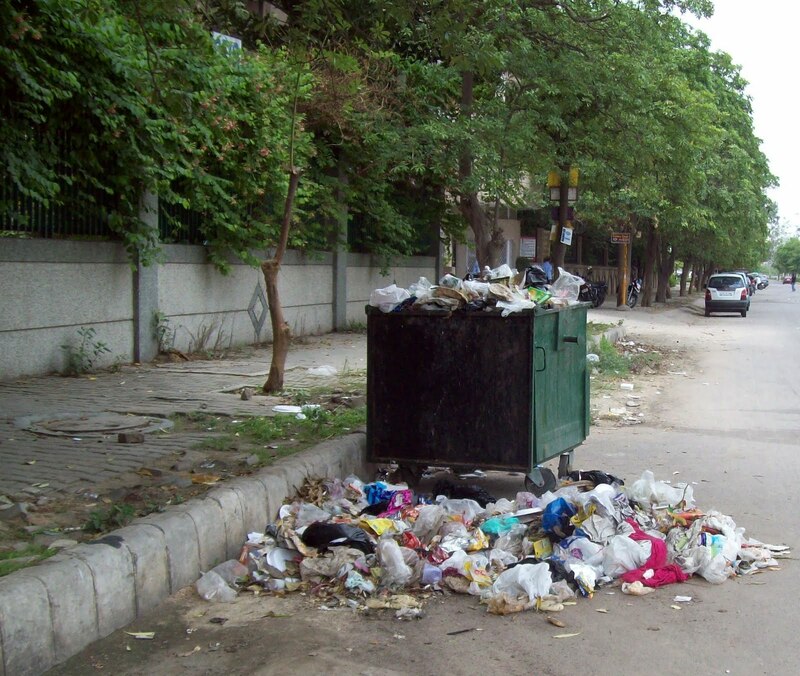 A few vacant plots, especially the one which lies between Basava International school and Paramount School ,both in sector 23, has become a full fledged dump yard emanating strong stench, making it intolerable for the nearby residents .The rag pickers have their fair share in adding on to the woes. Though trash bins have been chained to place of late in few societies, the end of the day is met with scattered garbage, not to mention the lingering mephitis, thanks to the untiring rag pickers. The sporadic showers have only worsened the situation with giving way for breeding mosquitoes, snakes n messy rats. With schools adjoining these areas it poses a grave health hazard for the children of these schools. The vegetable haat which comes up twice a week in front of Indian Heights School also wears a garbage donned look the day after the haat. Children are our future. It is our duty to provide them with the everlasting wealth : good health. Therefore, It is requested that MCD take immediate action to curb all these civic menace. Regular emptying of the garbage bins in front of each society at least twice a day is mandatory as well as regular watering of plants in all the parks to preserve the greenery. In the wake of all these issues, we have sent letters under UPC to the area Deputy Commissioner, Mr Bhagat and also have contacted area inspector Mr. Meena. 1st Dwarka Property Mela brings common platform under one roof for investors. India’s Sluggish Development – Reasons for the Malady and Cure !